Wayne Kelly believes that a vibrant rural Canada is essential for the country’s continued economic success and quality of life. Living, working, studying and travelling across Canada and internationally has reinforced the importance of rural development for Wayne and has highlighted that there are wide range of opportunities for rural development in our changing world. 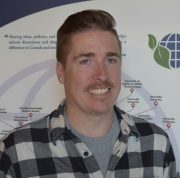 To contribute to the development of rural Canada, Wayne has been working in and studying rural development for more than 10 years and has received his Masters of Rural Development from Brandon University and he is presently a PhD student at National University of Ireland, Galway. At the Rural Development Institute, Wayne is focused on applying innovative development research to help rural Canada realize the opportunities facing it as society, the economy and technology change. As part of the RDI team and as the coordinator of the RPLC Wayne hopes to explore new and creative areas to support communities, organizations, businesses and government in rural Canada as well as to further promote the goal of the RPLC.